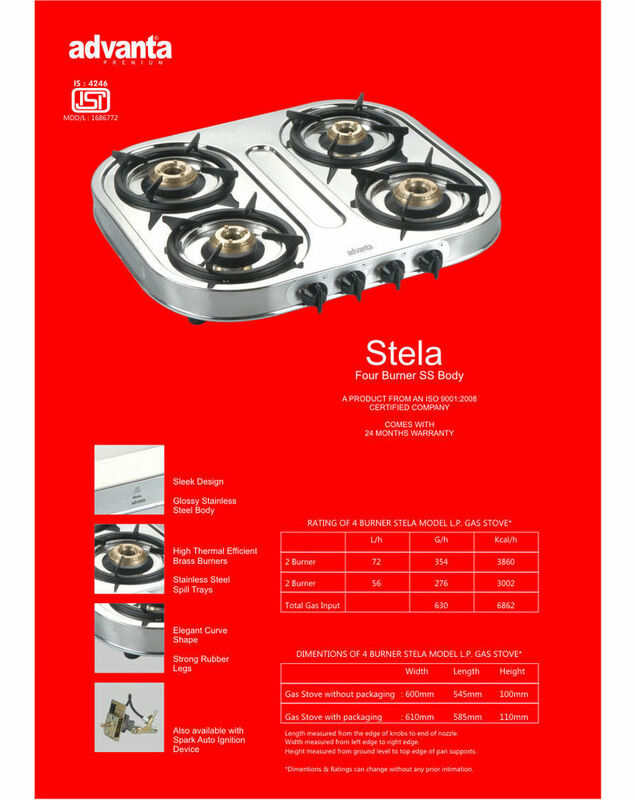 Suryaflame Stela 4 burner Gas Stove comes with High Thermal Efficiency of up to 68.5% that helps to reduce the consumption of gas and also helps each consumer to save at least 4 gas cylinder every year. It has a Stainless Steel Spill Tray on the top that keeps your cooktop clean & shiny. The Strong Rubber Legs hold the gas stove firmly even if heavy vessels are on it. 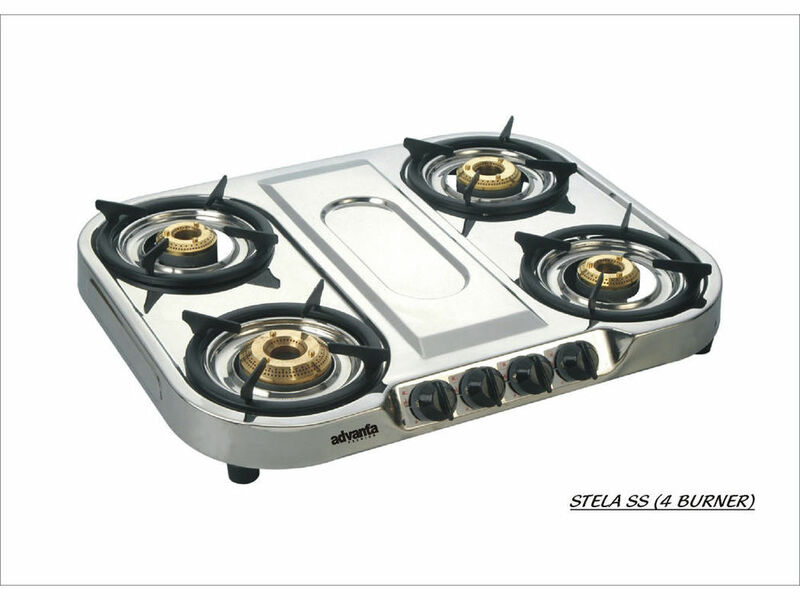 This Suryaflame Stela 4 burner Gas Stove comes with brass burners that have a high heating capacity when compared to the regular aluminum burners. This will perfectly fit your Kitchen interiors and enhance the beauty of your kitchen. Cook good, eat good with Surya 3 burner gas stove featuring toughened glass top and stainless steel body.